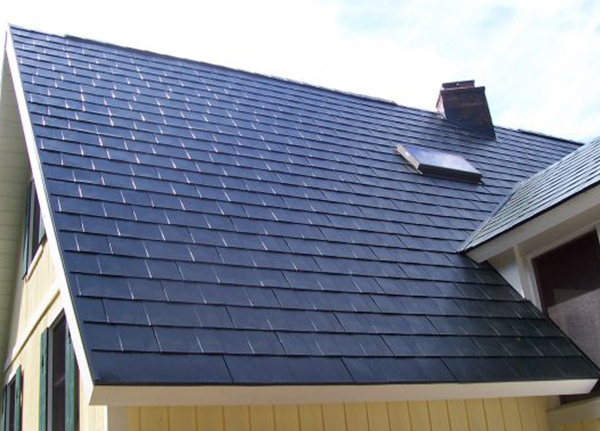 Upgrade to a Metal Roof For Added Benefits To Your Home! Put Your Trust In Our Metal Roof Contractors First! At Alcor Home Improvement, our staff is full of highly experienced builders who, for years, have brought a tremendous amount of craftsmanship, skill, and unmatchable creativity for every project we take on. Whether you have a brand new home or upgrading an older one, we can work with you to turn your dream into a reality. As a leading metal roofing company around Muskegon, we strive to only use the highest quality and most durable products on the market to ensure all projects we work on offer the most beautiful and long-lasting results. Although installing a new metal roof is a bigger investment in the short-term, you are looking at almost twice the lifespan for your roof and have the luxury of minimal maintenance. What Types Of Metal Roofs Do We Install? With this option, you have 15 colors to choose from and are able to customize your metal shingles to perfectly match the style of your home. These roof finishes are able to withstand winds of 100MPH and coated with a special Kynar 500 finish to maximize color retention. Not only will this durability enhance the overall value of your home, but it will lower your heating costs. Standing Seam is one of the more popular metal roof choices. One great advantage of standing seam metal roofs are the actual seams, which are the weak points in any roof and entry point for moisture, are raised above the level of the roofing panel to ensure full coverage and no seeps. CMG (Coated Metals Group) manufactures the Standing Seam Roofs used, and we can color match anything!